Click any of the photos below for an enlarged slideshow. Based on an early pencil sketch we have faithfully recreated a replica of the John Lewis house built in 1732. 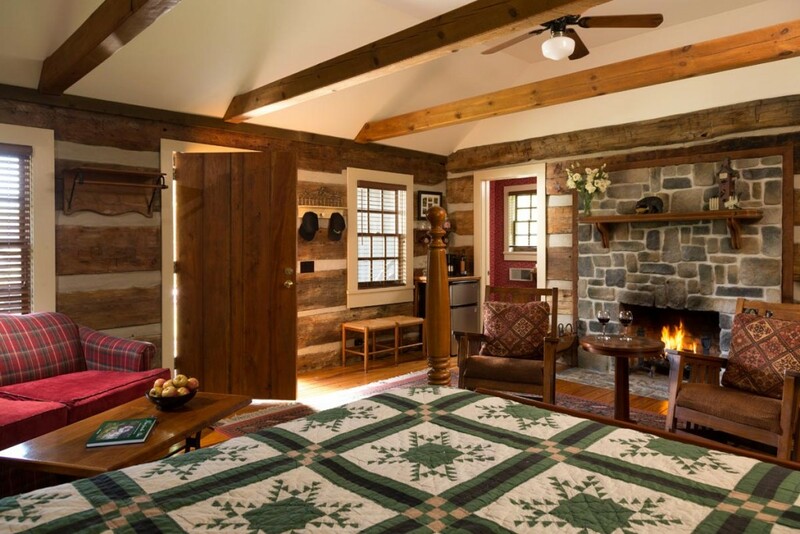 Two handsomely appointed rooms feature a large stone chimney for cozy wood fires, TV, wet bar, refrigerator, walk-in shower, and of course, a porch swing for sunset cocktails. 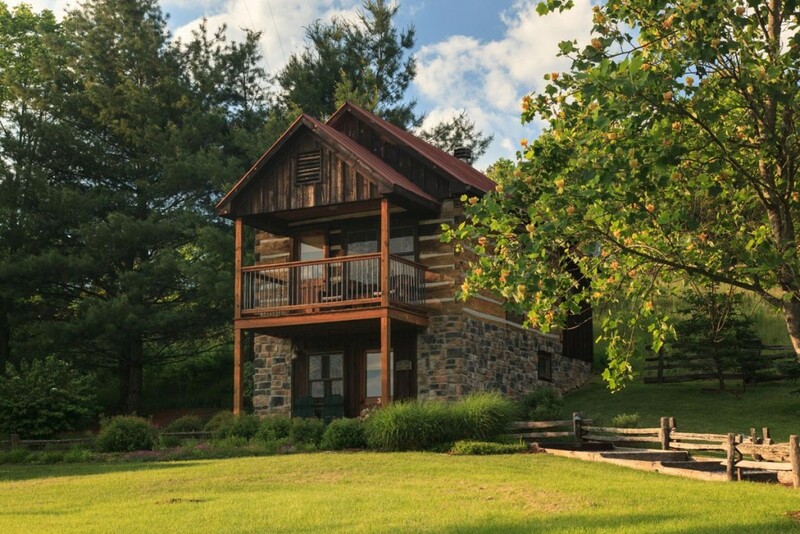 A two-story log cabin puts you up in the balcony for that mountain view. 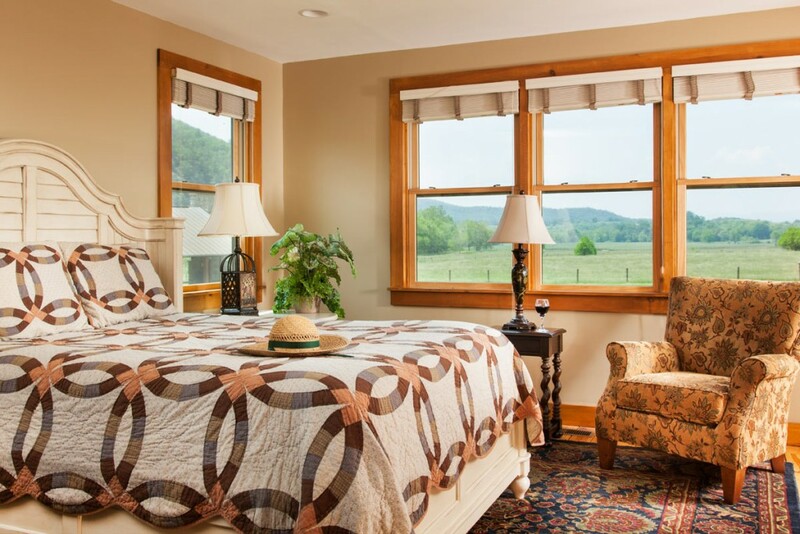 There is a sitting room, wet bar, and day bed alcove on the first floor with the bedroom, porch, and spacious bath up on the second. 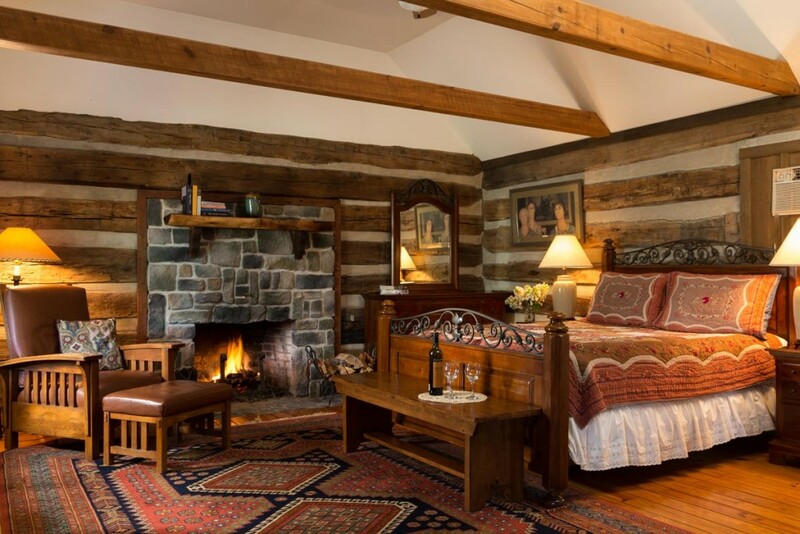 A wood burning fireplace adds to the romantic bedroom ambiance. Satellite TV. 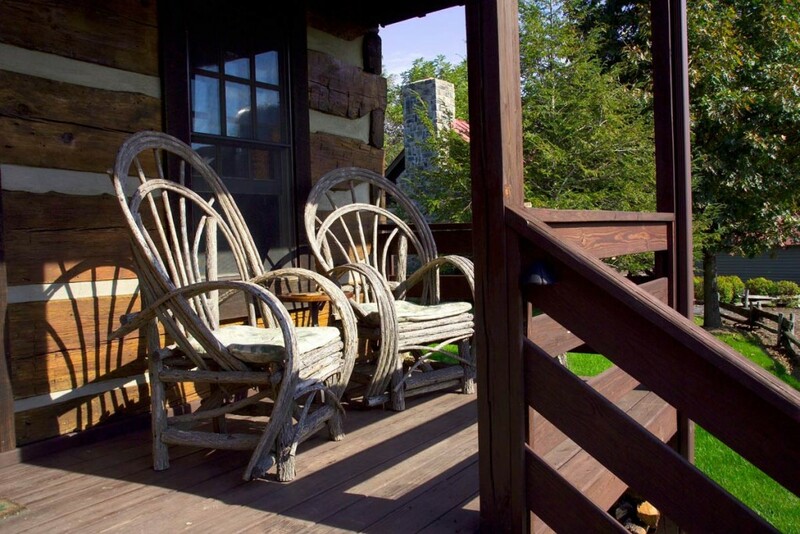 Rich in history, cozy and comfortable, the Uplands Cabin awaits yet another generation of adventurous travelers. 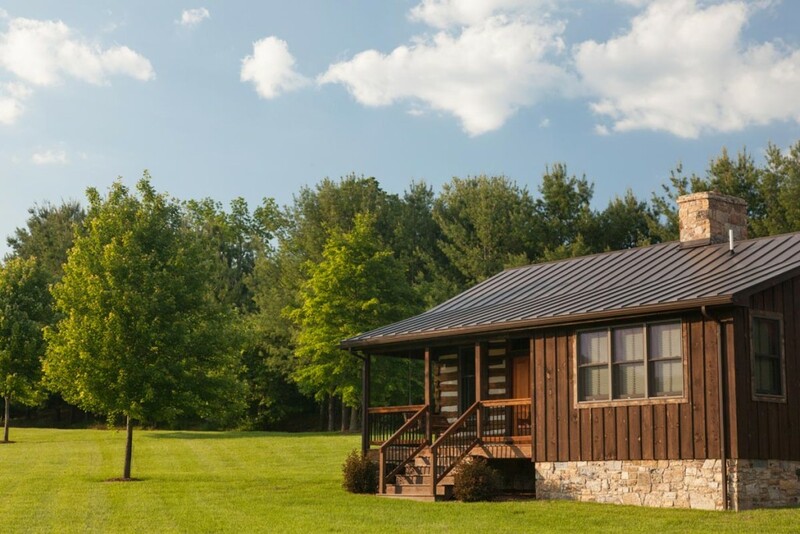 The Uplands Cabin is a warmly decorated one bedroom cabin with private bath, wood burning fireplace, small refrigerator, and queen-size bed, and a sleep sofa if needed for an additional guest. 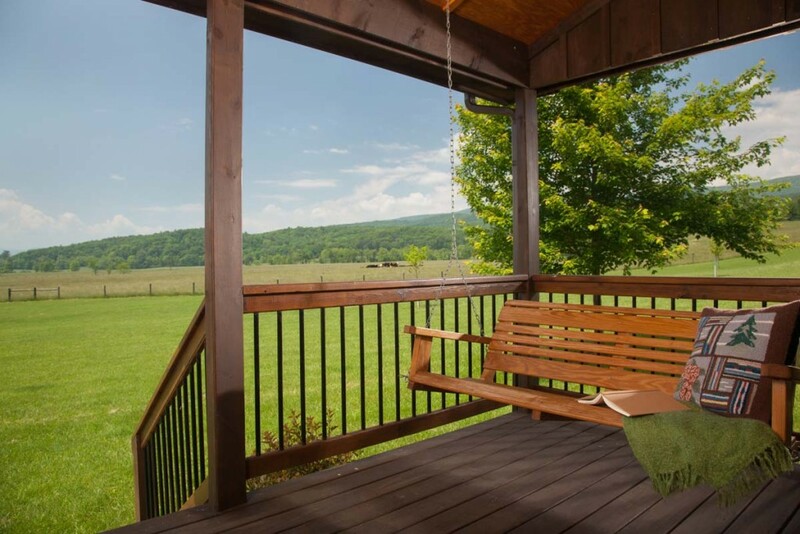 And yes, there is a porch swing here too. What cabin would be complete without one? The Shawnee called our winding river the “Walatoola”. 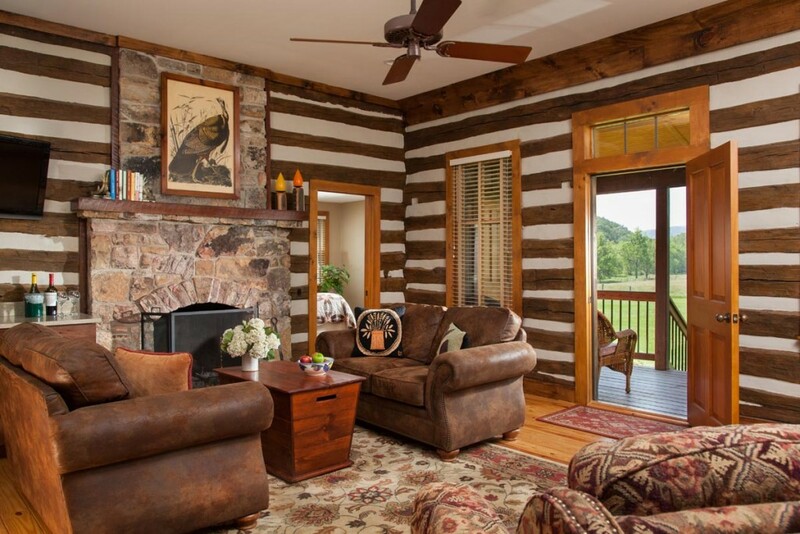 This hand-hewn log cabin is best described as “one of a kind” and reflects the time honored skills of the early Scotch Irish settlers. 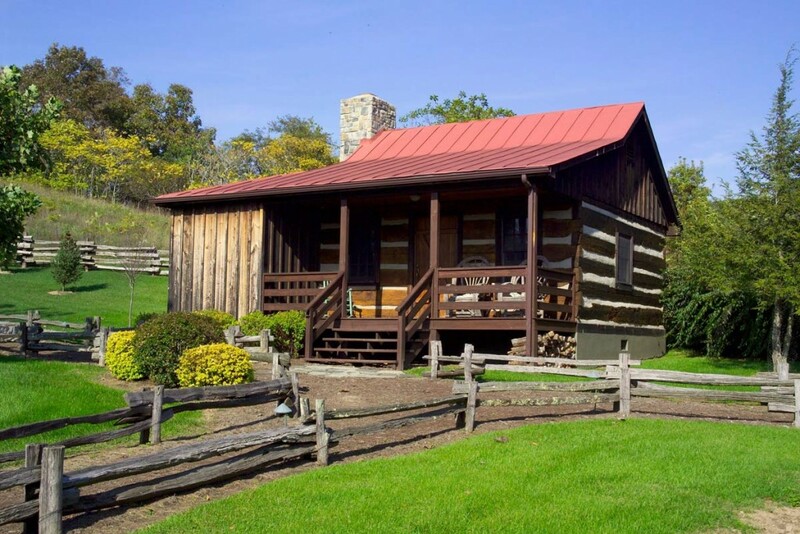 The Walatoola cabin is a one bedroom cabin with a front porch swing, private bath, wood burning fireplace, refrigerator, and queen size bed. A sleep sofa is available if needed for an additional guest. 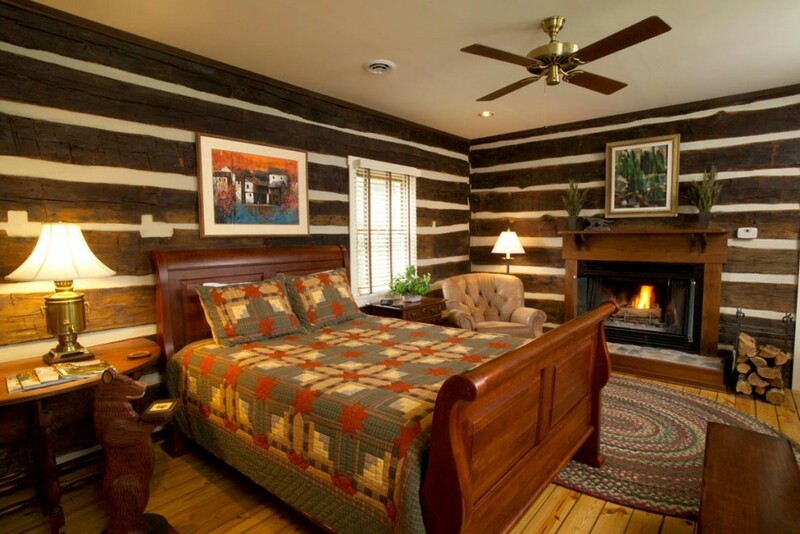 The rate for either the Tall Timbers Cabin or the John Lewis Cabin is $375. 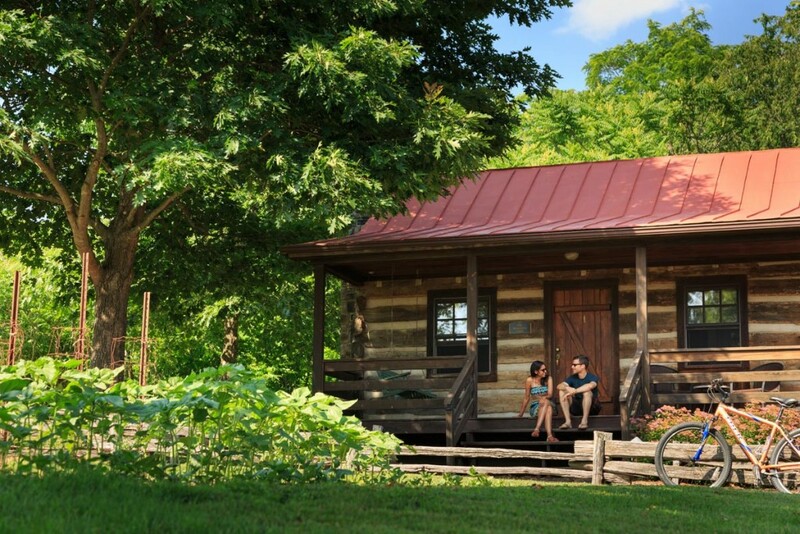 The rate for two guests in either of the Uplands and Walatoola cabins is $330. 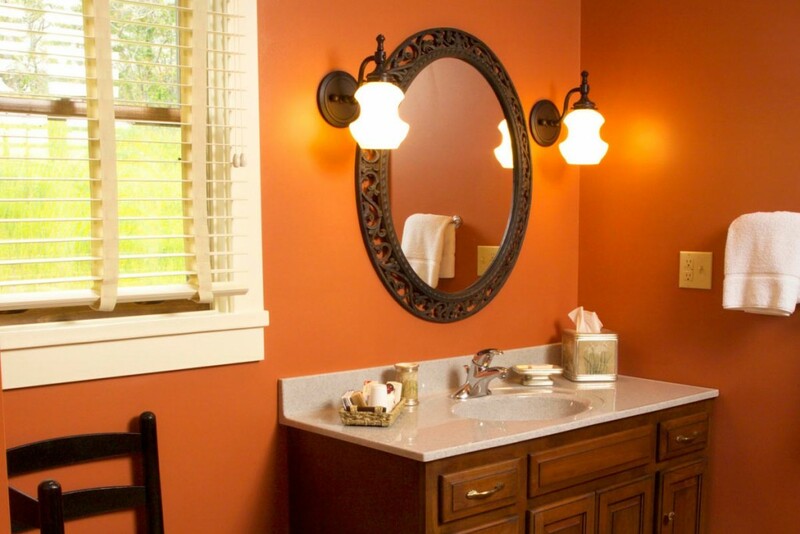 Rates subject to a 5.3% Virginia sales tax and a 4% meals and lodging tax.